In astrology, Venus is considered as the planet of splendor, luxury, happiness, love and money. People cannot get happiness from family without strong Venus. 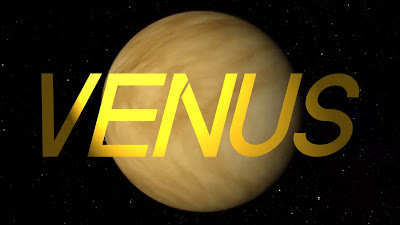 Venus relates with beauty and luxury. It gives comfort with happiness. Venus controls bright shiny white color, love and diamond. Any auspicious work is done to get happiness in life and Venus plays an important role in auspicious work. One cannot get happiness in life if Venus is weak. Venus creates urine disorders and diabetes. At times, it also creates problems in eyes, genital disorders and sexual problems. Venus decreases the personality. Happiness: You should keep your bedroom clean. Use light fragrance after taking bath. Wear silver ring in thumb. Donate white sweets on Friday. Maintain good relations with females. Urine & Diabetes: Offer water to the Sun every morning. One should seat under sunlight. Chant Venus hymn “Om Shum Shukarye Namah” every evening. You should include yogurt in your diet. You can wear white opal. Do not wear diamond. Eyes: One should wake up early in the morning. Wear more white color clothes. Put rose water in bathing water. Do not keep long nails of fingers. You can wear moon stone or American diamond. Mind: Chant Gayatri mantra every morning in front of the Sun. Do not use oily-spicy and sour food. Do not wear diamond. You can wear gold or brass ring in right hand’s index finger. You can wear Shashank aashan. Remedy: Do not use too many pillows on your bed. It creates conceptual differences between husband-wife. Why We Need Rosary for Praying with Mantra?